Enzymes are large biological molecules responsible for the thousands of metabolic processes that sustain life. They are highly selective catalysts, greatly accelerating both the rate and specificity of metabolic reactions, from the digestion of food to the synthesis of DNA. Most enzymes are proteins, although some catalytic RNA molecules have been identified. Some enzymes are used commercially, for example, in the synthesis of antibiotics. In addition, some household products use enzymes to speed up biochemical reactions (e.g., enzymes in biological washing powders break down protein or fat stains on clothes; enzymes in meat tenderizers break down proteins into smaller molecules, making the meat easier to chew). To the above I can add that while in Mexico I remember my mother using dried papaya seeds to tenderize meat. She told me they were enzymes. If you happen to want to go a bit further you might know that before you squeeze lemon or lime juice on a ripe papaya that there is a slight smell resembling ordinary vomit. Yes, your digestive juices are made up of acids and enzymes. I was born in 1942 and moved to Vancouver in 1975. Until 1975 I was influenced by the cultural experience of having lived in Buenos Aires, Mexico City, Austin, Veracruz and Nueva Rosita, Coahila. My five years in Austin did a lot to make me almost feel like an American in many ways since while in Austin those were my growing teen-aged years. I remember meeting the immigration officer in the Canadian embassy in Mexico City. I told Rosemary that he was French-Canadian. Rosemary indicated that it would be smooth sailing as a French-Canadian would understand a Latin (me). All I remember about the man is that except for his accent he was clean cut in a bland way. Twenty Twelve and 2013 were shocks to my existence. I went to Mexico City in December 2012 to visit my mentor/friend Raúl Guerrero Montemayor in what was obviously going to be his death bed. Once he died in early 2013 I knew I had few reasons if any to return to Mexico City, a Mexico City that I lived during its golden era of music in film which happened in the 50s. In 2013 my mentor/friend Brother Edwin Reggio, C.S.C. died in April. I had visited him a month before when his memory was receding in an alarming speed. All reasons to return to Austin were gone. In September of last year I visited my natal Buenos Aires and quickly knew that what was left of the city that I found agreeable was in my memory. Perhaps, even though I have relatives and friends in there I might not return. But something curious has happened as I have been turning all the above in my head. The first thought was a strange one last night. I thought of Fab with Enzymes! In the early 70s my wife Rosemary taught English in American companies that had a large presence in Mexico. One was the chain of Camino Real Hotels and the other was Colgate Palmolive. Many of my students at Colgate were either chemists and engineers or marketing executives. That’s when I found out that they were about to launch Fab con Enzimas.This product would even remove blood and wine stains like magic I was told. I can assert with proof and demonstrate my Argentine, Mexican and American roots. Thanks to Brother Francis Barrett, C.S.C. who taught me American history and Forrest Wright who taught me English and Civics. Between them I can explain in great detail the Dred Scot decision and the Sacco and Vanzetti trial. But last night I wondered if I had any Canadian roots or some sort of influence? In December 2012 I was at the Benito Juarez airport in Mexico City waiting for my Air Canada flight to arrive that would take me back to Vancouver. I spotted the Air Canada crew sitting and I immediately sat close. I felt comforted in what had rapidly become a place where I felt alienation. I began to chat with them and one of the male flight-attendants ended up being Argentine. We compared notes and rapidly concluded how wonderful (without going into details) it was to live in Canada. When my airplane took off and when I heard the landing wheels retract I instantly felt the relief of being home of being in a place where most could be predicted, where electricity free-flowed with an almost unerring voltage and with a precise cycle in 60. My Argentine friend (a friend when I gave him a postcard with my portrait of Arthur Erickson) deposited on my tray a very large container of Häagen-Dazs vanilla ice cream which obviously came from First Class. My fellow passengers all stared in amazement. In October my Air Canada flight from Buenos Aires landed in Toronto and I waved goodbye to all the grandmother flight attendants who, too, had become my friends. At security that evening in my initial preparation to leave fro Vancouver I was told that the two glass containers of Argentine Patagonia Dulce de Leche were verboten (even though they had sailed through both Argentine security and when leaving at the next port of call of Santiago). I know for a fact that anywhere else the dulce de leche would have been confiscated as were all those small but quite fine plastic bottles of French white and red wine that is consumed on Air Canada flights. I asked for an option. I was gently told to go back and purchase a small bag at a nearby luggage store and check in the dulce de leche. Air Canada was slightly difficult as they charged me $20 since my allotment for check in bags had been exhausted. And so in a country in which I had no idea who Neal Young was nor could I tell you about any of the MacKenzies or the Macdonalds who were Canadian Prime Minister, or of my surprise at seeing Captain Kirk in a Supervalu TV commercial, I have come to understand that Canada’s contribution (a sort of national enzyme that has worked on me without itself changing) has been a subtle one and best of all one in which it has helped me retain and enhance the memories of my past lives in other places. How can that be? Specifically in the last few years it has been thanks to my Vancouver Public Library. I have found in the Spanish section books that are hard to get in Argentina or in Mexico. 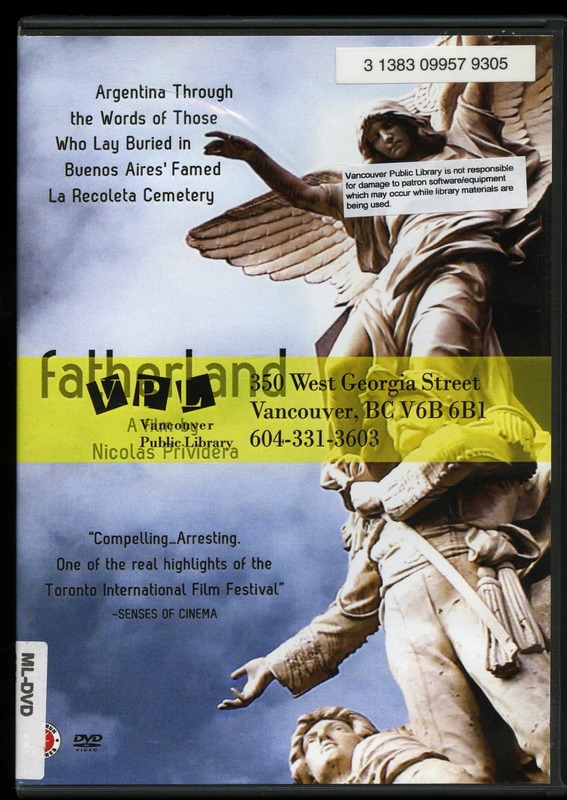 I have found films that have long disappeared from the shelves of Buenos Aires and Mexico City. Of late I have become mini-scholar on Eva Perón. I read Tomás Eloy Martínez’s Santa Evita in Spanish, courtesy of the VPL and in English thanks to the McGill branch of the Burnaby Public Library. In the last few days I have been enjoying Argentine and Mexican DVDs. One is Nicolás Prividera’s Fatherland (Tierra de los Padres). This documentary has anonymous Argentines reading a book, while standing by ornate memorials in the Recoleta Cemetery in Buenos Aires, from famous Argentine leaders and writers (the quotes are all bout the eternal turmoil of my country). I know the cemetery and its cats well. 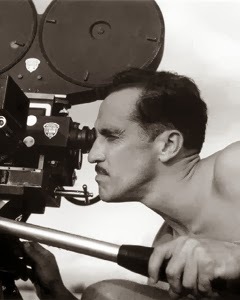 And of course Figueroa was the cinematographer of some of the best Mexican films from its so-called golden period. 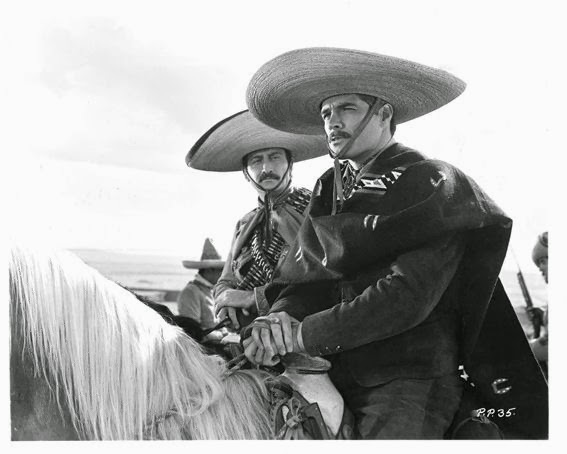 One of them is Pedro Páramo which has his dark, contrasty look so reminiscent of one of my favourite films of all time, The Fugitive with Henry Fonda, Pedro Armendáriz and Dolores del Río. The Fugitive is based on my equally favourite Graham Greene novel The Power and the Glory. Pedro Páramo has three interesting actors in its cast. One is Ignacio López Tarso, the Mexican Laurence Olivier whom Rosemary and I saw on the stage in the late 60s in Eugene Ionesco’s play El Rey se Muere (Exit the King). 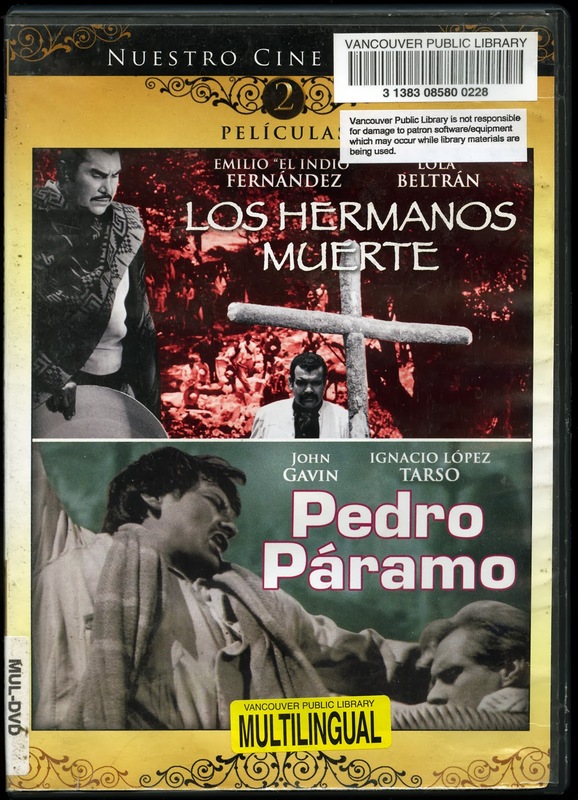 In Pedro Páramo he plays a fundamentally good man who becomes entangled in the evil ambition of his master (Pedro Páramo) played by John Gavin. Few outside Mexico would know that John Gavin (his looks are a cross between Cary Grant and Rock Hudson) spoke and speak perfect Spanish. 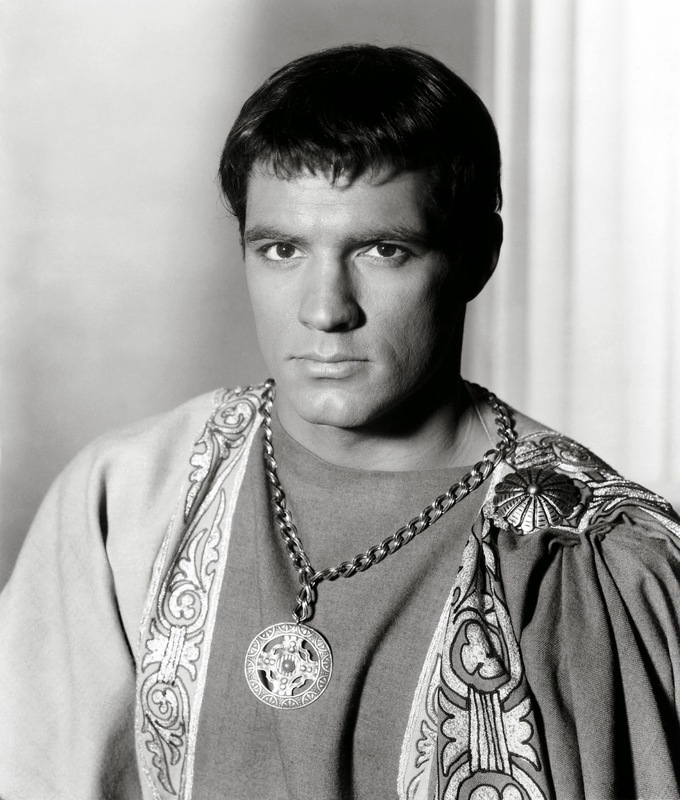 Some might remember him as a young senator in Spartacus who is the love interest of the elderly senator Laurence Olivier. 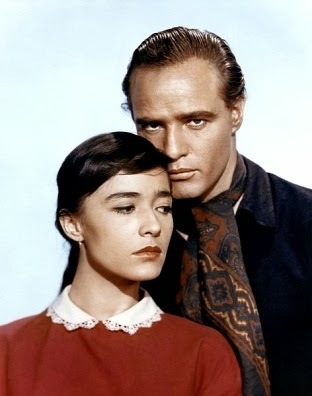 But it is Pilar Pellicer, an actress of depth and beauty that perhaps was only rivalled by her younger sister (a sort of Mexican Audrey Hepburn) Pina Pellicer who appeared in Marlon Brando’s One Eyed Jacks. Pina Pellicer was to commit suicide at age 30 in 1964. She is best known for being in Macario (with cinematography by Gabriel Figueroa) with Ignacio Lopez Tarso. This film is sometime rated as the best Mexican film and which was directed by Roberto Gabaldón. Interesting too is that the film is based on a work, a novel with the same name, by the mysterious B. Traven. And so these last few months and weeks I have felt very Mexican, very Argentine, and while I cannot yet locate the Canadian in me (am I an enzyme?) I am thankful to this country and city and specially my dear Vancouver Public Library.